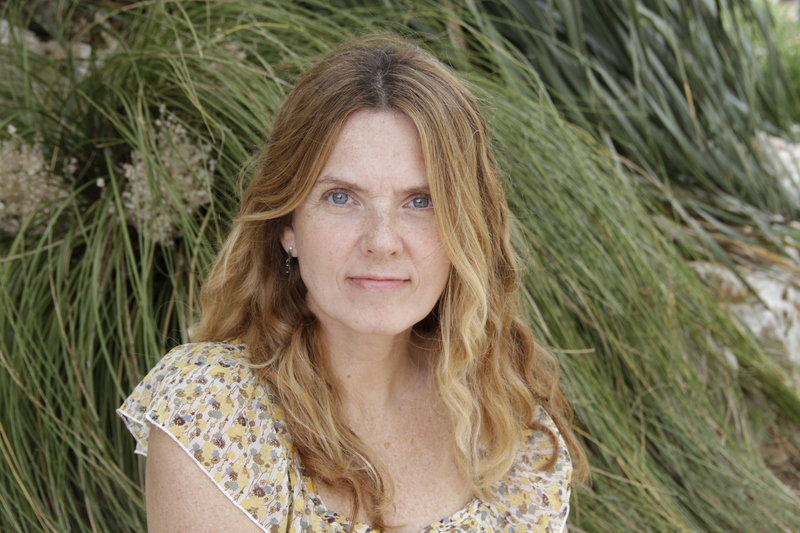 Today, the dictionary project hosts an author interview with fiction writer Elizabeth Crane. Enjoy! When I was in junior high school, my favorite class was Vocabulary. This is not necessarily reflected in, you know, my vocabulary, nevertheless, my best friend and I thought this was the greatest class ever, because we’d learn new words and then have to use them in sentences and paragraphs and I always loved making the silliest possible sentences. “The bombastic misanthrope could not stop talking about the frowzy conquistador’s inability to show up in a decent shirt.” Also, same best friend and I subsequently created our own dictionary called The Betsy Bugs the Bees and Nina the Nerd Random House Dictionary. We each had a copy, and we filled it with slang, words we just liked, and words we made up, like “Feduchee.” We even had Feduchee t-shirts at one point. So, we weren’t in the popular group, but amazingly we weren’t total outcasts either. I have to choose one??? Jibber jabber. But you have to say it in a 1940s noir movie voice. 3. What is the most obnoxious/insidious/annoying word? Oh man, so many! Some I’d rather not even say. But lately one I don’t like is ‘ugly.’ I don’t like the sound of it and I don’t like the judgment in the meaning. 4. What word has been your (recent or past) muse? I’m having a hard time deciding between “Well,” “Anyway” and “So.” I can always get a sentence started with one of those, even if they don’t stay there for the duration. When I was a kid I thought ‘indubitably’ was the greatest-sounding word ever. It still kind of holds up, though it sounds too fake-Britishy coming out of me. 5. Your debut novel We Only Know So Much just came out this year. Were there particular words that you found yourself using often as you wrote? Some of the characters have a few things that they say regularly: Vivian, the grandmother, likes to follow almost everything she says with “You see.” Gordon likes any three-syllable word, and Priscilla is fond of ‘seriously.’ Otis is obsessed with three jelly beans that his love gave him, and so I repeated the word jelly beans or jelly bellies numerous times, and these words are very pleasant to me. But sometimes I do global searches on certain words that keep coming up so that I don’t sound like a broken record. “Just” is one that just keeps coming up, and just needs to be dialed back. 6. If you had to write your own dictionary entry for the word “story,” what would it say? lip (lip), n. [ME. lippe; AS. Lippa; akin to G. lippe ( < LG.) ; IE. base *leb-, prob., what is licked (var. of *lab-, *lebh-, etc., to lick with gusto), prob seen also in L. labium (cf. LABIAL)], 1. either of the two fleshy folds, normally pink or reddish in color, forming the edges of the mouth and important in speech. 2. anything like a lip; specifically, a) the edge of a wound. b) the projecting rim of a pitcher, cup, etc. c) the mouthpiece of a wind instrument. d) the cutting edge of any of certain tools. e) in anatomy, a labium. f) in botany, a labellum. 3. [Slang], impertinent or insolent talk. 4. The position of the lips in playing a wind instrument. v.t. [LIPPED (lipt), LIPPING], 1. to touch with the lips; specifically, a) to kiss. b) to place the lips in the proper position for playing (a wind instrument). 2. in golf, to hit the ball just to the edge of (the cup). adj. 1. merely spoken or superficial; not genuine, sincere, or heartfelt: as, lip service. 2. Formed with a lip or the lips: labial: as, a lip, consonant. braid (ˈbrād) v.t. [ME. breiden, braiden; AS. Bregdan, to move quickly, jerk, pull, twist, see UPBRAID], 1. to interweave three or more strands of (hair, straw, etc.). 2. to tie up (the hair) in a ribbon or band. 3. to trim or bind with braid. n. 1. a band or strip formed by braiding. 2. a strip of braided hair. 3. a woven band of cloth, tape, ribbon, etc., used to bind or decorate clothing. 4. a ribbon or band for tying up the hair. I always wish I could wear my hair in one long braid, but because it’s so thick, it gets kind of fat and tends to look like a challah. sum·mon (ˈsum-ən), v.t. [ME. somonen; OFr. somondre, semondre; L. summonere, to remind privily < sub-, under, secretly + monere, to advise, warn], 1. to call together; order to meet or convene. 2. to order to come or appear; call or send for with authority. 3. to issue a legal summons against. 4. to call upon to act, especially to surrender. 5. to call forth; rouse, gather; collect (often with up): as, summon (up) your strength. —SYN. see call. This is kind of an awesome word I don’t think about much. But I like the way it sort of speaks to possibility, like we can get whatever it is that we need by just calling it forth. pro·thon·o·tar·y (prō-ˈthä-nə-ˌter-ē), n. [pl. PROTHONTARIES (-iz)], [ML. protonotarius; LGr. pronotarios < Gr. protos, first + L. notarius: see NOTARY], 1. a chief notary or clerk. 2. in the Roman Catholic Church, one of the seven members of the College of Prothonotaries Apostolic, who record important pontifical events: sometimes held as an honorary title by other ecclesiastics. Also protonotary. I don’t think I’ve ever heard this word! But suddenly I want to call on the Roman Catholic Church next time I need a document notarized. dy·ing (ˈdī-iNG), present participle of die. adj. 1. at the point of death; about to die. 2. Drawing to a close; about to end: as, a dying social order. 3. Of or connected with death or dying. n. the act or process of ceasing to live or exist. What we’re all doing all the time. Sigh. Elizabeth Crane is the author of the novel We Only Know So Much, and three collections of short stories, When the Messenger is Hot, All this Heavenly Glory, and You Must Be This Happy to Enter. Her work has also been featured in numerous publications and anthologies. She is a recipient of the Chicago Public Library 21st Century Award, and her work has been featured on NPR’s Selected Shorts and adapted for the stage by Chicago’s Steppenwolf Theater company. She teaches in the UCR-Palm Desert low-residency MFA program. *Definitions taken from Webster’s New World Dictionary of the American Language, copyright 1955.